Global Kids’ D.I.D.I. 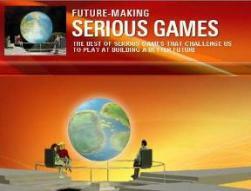 Initiative: Serious Games For Dream It. Do It. 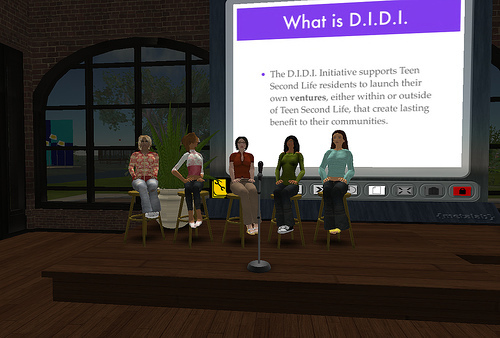 Global Kids launched a new Teen Second Life project called Dream It, Do It, or DIDI Interactive. The project awards grants up to $1000 U.S. Teen grid residents have worked extremely hard to help the DIDI Interactive team develop the simulator by building and scripting objects. At recent DIDI workshops teens can find out how the D.I.D.I. Initiative can help them start their own ventures such as clubs, organizations, and businesses. Can you launch a Venture in a virtual world to create real change? Youth Venture invites you to explore the virtual world of Teen Second Life and find out how you can launch a Venture there! What is Teen Second Life? Teen Second Life is an international gathering place for teens 13-17 to make friends and to play, learn and create. 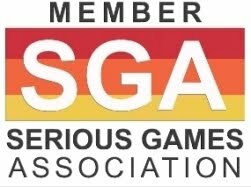 It’s more than a videogame and much more than an Internet chat program – it’s a boundless world of surprise and adventure that encourages teens to work together and use their imaginations. What is The D.I.D.I. Initiative? The D.I.D.I. Initiative is a partnership in Second Life between Youth Venture and Global Kids to improve health and healthcare. Through generous support of the Robert Wood Johnson Foundation, the D.I.D.I. Initiative provides young people the seed funding and the support they need to launch their own ventures that create lasting community benefits. The Ventures can take place entirely within the virtual world of Teen Second Life, in the real world, or some combination of the two! The D.I.D.I. 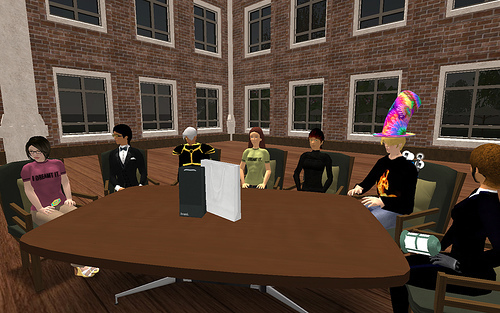 Initiative encourages young people to launch their own sustainable ventures both within and outside of Teen Second Life to benefit their local communities. 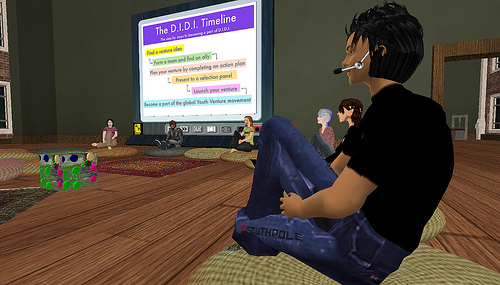 In Teen Second Life—a virtual gathering place in which teens aged 13-17 socialize, learn, and create digital media—the D.I.D.I Initiative encourages young people to learn, collaborate, and take action in key healthcare concerns. Workshops start in the D.I.D.I. Institute Boardroom where kids go over the GK Guidelines and do some fun getting to know youth activities! The D.I.D.I. Initiative “Island” in the teen grid of Second Life is a place for young residents to learn about important social and health issues like poverty, food insecurity, discrimination, poor housing, and vulnerable populations. Youth have the opportunity to create and lead their own social ventures to address these issues.